Over time, fresh air will slowly seep through the tread and sidewall of a tire, resulting in a loss of pressure. ?The gradual decrease in tire pressure with air-filled tires (approximately 1 to 2 psi per month) is reduced?when tires are inflated with nitrogen. This is because oxygen molecules are smaller than nitrogen molecules. This means?your tires will maintain the required tire pressure a little longer, but it’s still important to maintain?monthly tire pressure checks. Nitrogen inflation also reduces the amount of moisture, in the form of water vapour, in a tire. ?The presence of moisture is the main reason tire inflation pressure varies with temperature, as the air in a tire heats or cools. This variation can be less for nitrogen-inflated tires. 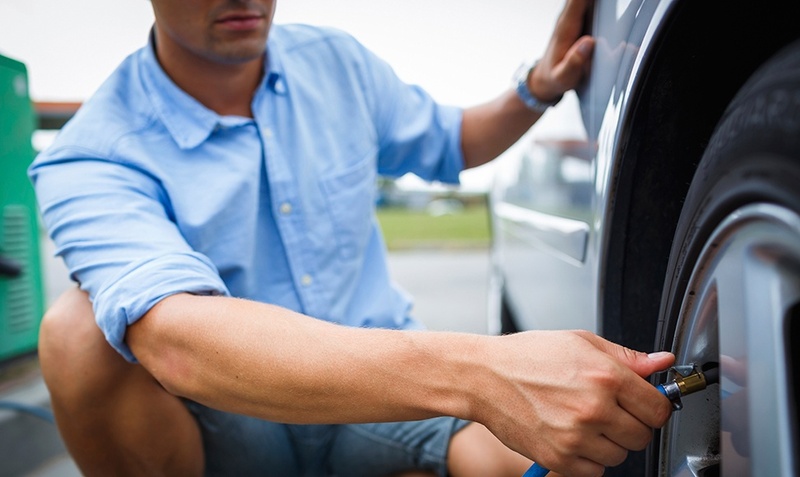 Inflating your tires with nitrogen won’t be harmful. In fact, there are some benefits. As always, consumers interested in nitrogen inflation should consult with?a tire specialist or technician to learn more.